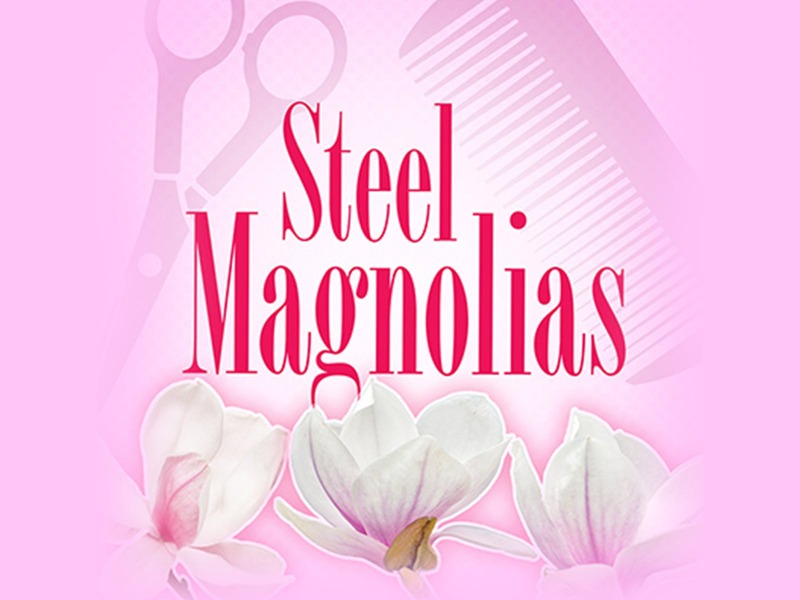 The first time I can ever remember crying while watching a movie was when I saw the 1989 dramedy Steel Magnolias – and I just didn’t wipe a trickle from my cheek. I cried a river. No lie. Since then I’ve seen that film more times than I could hope to count and it ranks up there with my all-time favorites. How couldn’t it be? With such heavy hitters as Sally Field, Julia Roberts, Olympia Dukakis, Shirley MacLaine, Dolly Parton, and Daryl Hannah (not to mention Tom Skerritt, Sam Shepard, and Dylan McDermott) this is a film that not only shows the power of the individual women and the strength of the bonds between them, but also the importance of family, love, and loss, and the knowledge that despite it all, life does go on. But before I knew it, I found myself fully absorbed. So much so that I was hearing the character’s lines from the film inside my head or mouthing them along with the actors. I was so engrossed – truly riveted – to the performances, you could have knocked me over with a feather when the lights came up at intermission. There were six talented, brilliant women on that stage who’d succeeded in transporting me to Chinquapin, Louisiana and back to the 1980s. Smack in the middle of Truvy’s beauty shop. Not having seen the play before, I wasn’t aware that the entirety of the action takes place in the beauty salon – but it makes perfect sense since that’s the hub of the ladies’ activity and where each of them come to connect for chatter and gossip as well as to support one another through life’s many ups and downs; their achievements and high points as well as trials and tribulations. And just a little bit of man bashing. Far from static in that one room set, it is a dynamic work that draws you in and doesn’t let go. For anyone who’s lived under a rock for the last three decades and not seen the production in any medium, Steel Magnolias takes us from the opening scene where Shelby Eatonton is about to be married to her complications from type I diabetes. The vivacious, pink-loving Shelby and her straight-laced mother M’Lynn go to the local (and best) salon to be beautified for the wedding. The salon is owned by Truvy Jones, who is a force to be reckoned with. Moments before their arrival, Truvy has hired young transplant to Chinquapin, Louisiana, Annelle Dupuy, who may or not be married to a convicted felon – and there’s certainly a story there. The foursome also are joined by recent widow and former mayoral first lady Clairee Belcher and the crotchety spinster with a heart of gold and a mangy dog, Ousier Boudreaux. The sextet share the stories of their lives over perfect coifs – weddings, engagements, spousal spats and makeups, pregnancies, business endeavors, and health problems – spanning the course of 31 months. Susan Haefner (who celebrated a birthday the night we attended – Happy Belated!) effortlessly led the phenomenal cast through a nearly flawless production. The central character and the true steel magnolia in most respects, Shelby (soon to become Eatenton-Latcherie), played in the film by Julia Roberts, is deftly portrayed by Susan Slotoroff. No stranger to Playhouse on Park, Slotoroff is engaging, authentic, and delivers a finely-tuned snark whenever necessary – especially as she battles with her mother, M’Lynn. Jeannie Hines steps expertly into that role, played in the film by Sally Field. The relationship between Slotoroff and Hines is so genuine – warm and loving as well as humorously combative at times – as any mother-daughter duos will be able to relate. And Hines is exceptionally powerful in the iconic ending scene (lovers of the film or other productions will know what I mean). Jill Taylor Anthony as Truvy (Dolly Parton in the film) nails the role with aplomb. As the biggest gossip (with the biggest hair) and serving as mother hen to everyone, she’s pure delight to watch. Truvy’s protégé and “adopted daughter” Annelle (Liza Couser in many ways is a doppelganger for the film’s Daryl Hannah) and she not only have a wonderful chemistry, but the two do an incredible job actually styling the women’s hair right on stage! It is astonishing how they stay on top of their lines, remain in character, and wash, roll, tease, style, and spray – it’s like a master class in acting as well as beauty school! Like Mutt and Jeff or rather, Lucy and Ethel, Dorothy Stanley’s Clairee (Olympia Dukakis’ character) and Peggy Cosgrave’s Ousier (Shirley MacLaine) go at it like warring siblings who have nothing but deep-down, true sisterly love for one another. The way they slug their lines (insults) back and forth is like watching a hard-hitting ping-pong match. At first a surprise to me, but later so understandably poignant, there are no men (other than a radio voice-over) in the play version, despite their importance to the female characters. They come into being in reference only. In the film, however, men abound – but they are relegated to second fiddle, keeping all the females rightfully front-and-center where they belong in this story. Like one of the actors, Truvy’s shop breathes a life of its own. The perfectly appointed set (replete with hair cuttings, rollers and other paraphernalia) is so fabulous, I almost stopped to make an appointment for myself on my way out! Kudos to David Lewis for a realistic set with such spectacular attention to detail – a big hand there also goes to Pamela Lang for properties and set dressing. Shout-outs as well to Rider Q. Stanton as Sound Designer; Kate Bunce as Costume Designer; Christopher Bell as Lighting Designer; Mollie Cook as Stage Manager; and David Alan Stern as Dialect Coach. Today’s entertainment world aims to celebrate the triumphs of women in all aspects of the business – from writers to directors to actors and more – with storylines that level the playing field and serve to elevate women from secondary to central characters. Thirty years ago, Harling was ahead of his time when he conceived this work and these six unforgettable, colorful, powerful females. He never forgets that they are both tough as steel but as delicate as magnolias – resilient, loving, and altogether human. 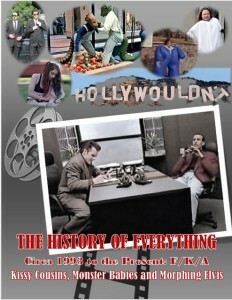 And you’ll never forget their story – or the incredible production at Playhouse on Park. 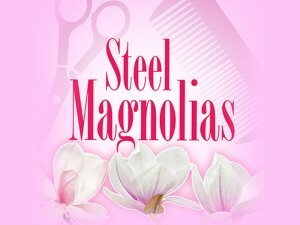 Steel Magnolias is one of the few plays I read as opposed to actually seeing it performed back in the 1980s. 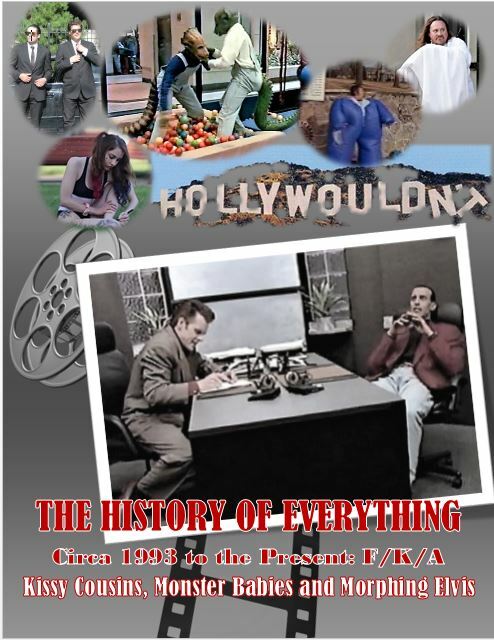 At the time, I was more interested in the craft of writing and I was interested to see how a male playwright, Robert Harling, could so incisively portray with such verisimilitude, the trials and tribulations of six incredibly strong female protagonists at a time when there were so few vehicles for leading female roles. I also was interested in the fact that Robert Harling had a law degree from Tulane but decided to skip the practice of law entirely and focus solely on the arts (something I have been trying to do my whole adult career). Although I had seen the film version, it gets tossed into my memory pool with similar themes movies which I constantly confuse; i.e., Places in the Heart and Terms of Endearment. Jill Taylor Anthony was the perfect Truvy, warm, engaging, solicitous and oozing with southern charm. Liza Couser gave a highly calibrated, measured performance (in a good way) as Annelle Dupuy, deftly portraying her strong character arc from the shy, vulnerable and naïve waif/transient to opinionated (especially where religion is concerned) wife, friend, and mother-to-be. (As an aside, they are damned good hairstylists as well!) There was perfect chemistry between Jeannie Hines (M’Lynn Eatenton) and Susan Slotoroff (Shelby Eaton-Latcherie) as the often-overprotective mother vs. the sometimes fiercely single-minded and independent daughter. Their portrayal of the characters, though contentious at times, ultimately displayed the loving and supportive sacrifices that parents sometimes have to make for their children. Rounding out this versatile and talented cast are veteran stage actresses Dorothy Stanley as the rich widow Clairee Belcher and Peggy Cosgrave as the often outrageous, sometimes over-the-top, but always lovable Ousier Boudreaux. Director Susan Haefner did an excellent job of marshalling the plays disparate pieces into an integrated and unified whole. Indeed, the play overall was like a carefully woven, tightly knitted patchwork quilt. 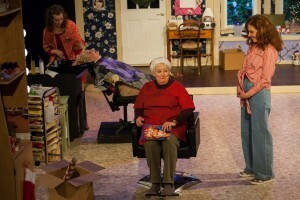 In order to successfully pull off a play like Steel Magnolia, not only must there by excellent casting, acting and direction, but the fine attention to details. In this regard kudos also must go David Lewis (Scenic Designer) and David Alan Stern (Dialect Coach). 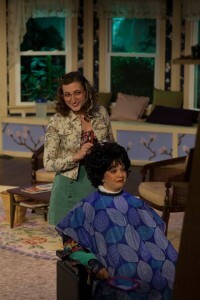 Playhouse on Park’s Steel Magnolias is a warm, wonderful, inspiring play about friendship, parenthood, love and the cycle of life. It also is more than inspiring to me as a male writer that other male writers, such as Robert Harling, can so acutely and accurately capture the essence via dialogue and mannerisms of female characters. There’s hope for us would-be-Hemingways after all.